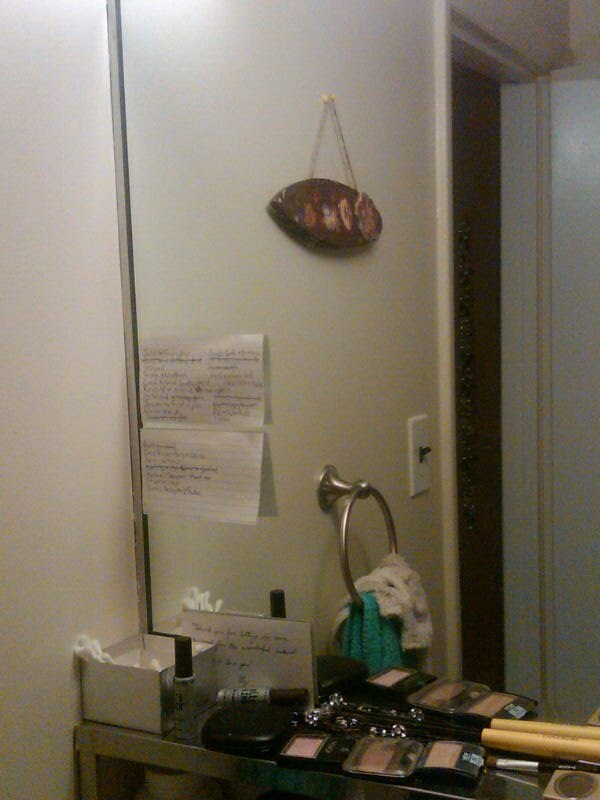 The 3×5 cards you see on this mirror are full of prayers I have been uttering in the morning when I get up, and as I brush my teeth before bed each night. I do not necessarily pray over each one every time because sometimes I just get caught up in a particular plea before my Lord and other days because I get distracted before I make it all the way through my list.. or certain days a particular prayer weighs heavily on my heart and I cannot seem to utter enough before God. Some of these prayers are crossed off because God answered them… And, I am waiting to cross them all off and continue to add more cards.. while being careful to leave these up to remind me of God’s faithfulness. You have no idea some of the things God has answered. It just flat out amazes me. So, please know if I say I will put you on my 3×5 card, I mean it.. and I pray over those people and issues all the time… And to be totally honest, this is the only thing I have found that reminds me to pray over and over and over for people and situations, otherwise life seems to always get in the way. So, Fact of Life #13: Prayer works. And, P.S. the bottom 3×5 card leaning between my makeup and mirror is a note a beautiful friend left me just telling me she loves me… It’s a good reminder to keep around. And, the reflection of the thing hanging on the wall says “Dista” and was given to me by my eldest nephew Kaedon.. Dista is what they have called me since he could talk. This entry was posted on April 29, 2011 by kpbback in Friends, God, Prayer.